Michelle Sowey directs The Philosophy Club, offering stimulating workshops that spark philosophical wonder and dialogue among curious children. 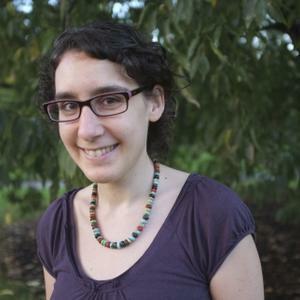 After receiving first-class honours in philosophy from the University of NSW, Michelle worked in intelligence analysis and educational equity before dedicating herself to supporting children’s thinking through philosophical dialogue. She began The Philosophy Club in living rooms and community halls across Melbourne and Sydney, using a process of collaborative enquiry to ignite children’s curiosity and to help them make sense of their world. In 2013, The Philosophy Club launched the Big Questions philosophy mentoring program which connected university-level philosophy students with primary school students from low socio-economic backgrounds. In 2014 Michelle was awarded the Prize for Innovation in Inclusive Curricula by the Australasian Association of Philosophy in recognition of her success in making philosophical dialogue accessible to a wide range of participants. While continuing to run extra-curricular workshops and to train facilitators in the practice of philosophy with children, Michelle is seeking to partner with schools keen to inspire their students' critical and creative thinking.